Dr. Smith's Spa Party Wrap + A Giveaway! A couple of days before I headed off to Disney with my mom and the girls, I had the delightful opportunity to host a spa party with the wonderful folks at Dr. Smith's. Sometimes I can't believe that my work involves awesome things like helping moms prioritize self-care! The gathering was so fantastic; I wanted to share a recap and also a fun giveaway for you all. 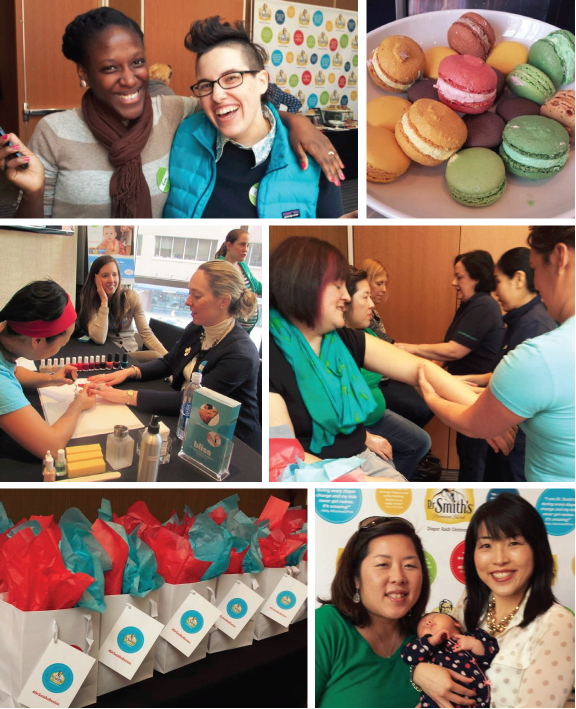 The gathering was simply delightful: stylish (hello, W Boston) yet chill, tasty (man, I love finger sandwiches and macarons), relaxing (hello, Bliss Spa manicures + hand/arm massages), and wonderfully social. It was a lovely group of moms (it's always so thrilling for me to meet members of this community in real life! ), many with babies in tow. Amazingly, the babies took a cue from the surroundings and were adorable and chill the entire time. No joke. In a way I was kind of hoping one would freak out so I could swoop in with some snuggle power! Here are some highlight photos and you can see more here and here. Dr. Smith's treated these mamas so well and they wanted to extend a gift to one of you awesome moms (let's keep the party going!). 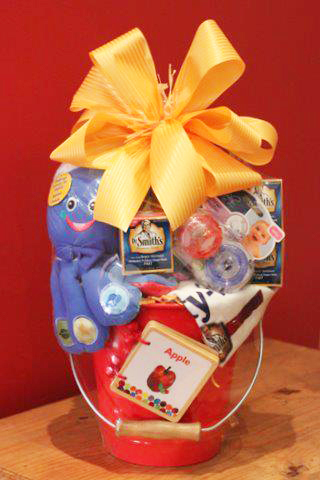 Up for the winning is a gift basket including $200 worth of educational toys, bilingual board books, a plush toy, baby care essentials, and Dr. Smith's product (see photo below). This giveaway is open to US entrants and you need to be a Boston Mamas newsletter subscriber by April 14. Good luck, and thanks again to Dr. Smith's for such a wonderful party! Subscribe to the Boston Mamas newsletter! Note: the Boston Mamas newsletter drops 1-2 times per month and offers the best from this site (and elsewhere on the internet), as well as periodic exclusive goodies. Yay, for periodic exclusive goodies!